Bridal shower kitchen gift ideas are any items the couple need for the kitchen when beginning their married life together. 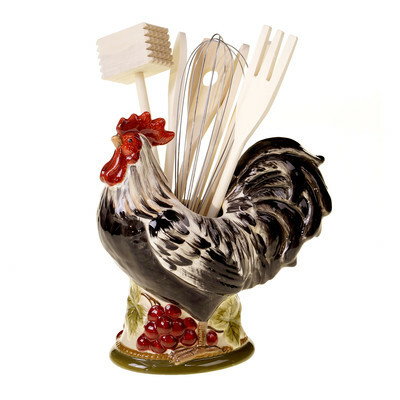 Traditionally, the best gifts to give are the necessary basics to help equip their kitchen. In many cases, this is still true. However, some couples are already established in a home when marrying, and may already have most of these. Knowing the couple's style and colors ahead of time, will be a big help when choosing your present. If you're stuck for ideas, ask the hostess if they have registered at any department stores. This will usually point you in the right direction. Though not always as glamorous as some other gift suggestions, these items will be greatly appreciated. • apron - choose a fancy one just for the bride, or purchase his and her styles. • blender - add some drink mixes for fun. • cake pans - a decorating kit could accompany these. • dish soap and scrubbers -dress up these items by putting in a plastic bucket with a bow. • teapot - add an assortment of fancy teas. *** There are many other ideas. So, give it some thought, and you'll cook up some great presents! • Are you having a kitchen party? • Do you need gourmet theme ideas? • Go from bridal shower kitchen gift ideas, to homepage.